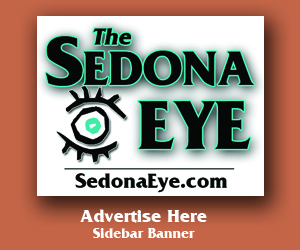 Sedona Eye » City of Sedona July 2018 wastewater rate increase illegal? Home » From The Readers, Letters to the Editor » City of Sedona July 2018 wastewater rate increase illegal? City of Sedona July 2018 wastewater rate increase illegal? Sedona wastewater treatment wetlands: In 2016, over 40% of Sedona homes still lacked sewer hook-ups. Despite 4% annual rate increases since 2014 (scheduled to sunset June 30, 2018), the City Council plan to continue with annual increases of 4% through 2020 and 3% through 2023 has many Sedona residents questioning rate increase legality. 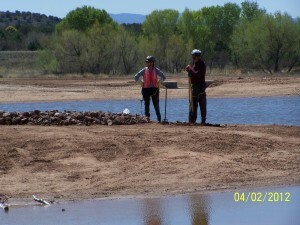 Sedona wastewater rates are currently among the highest in Arizona. Sedona’s wastewater rates are among the highest in Arizona. Still, the last four years saw annual rate increases of 4% that are legally due to end on June 30, 2018. But there’s a problem. The City is intending to raise WW rates illegally beginning July 1, 2018. Here’s some history of their process. The Council did not adopt these increases for FY 2019-2023 in 2014, nor was there a Council meeting on 5/20/2014, the date of a P & Z meeting. They were sneaked into City budgets without a Notice of Intention and a Public Hearing. The required NOTICE OF INTENTION and subsequent PUBLIC HEARING regarding the five specious annual rate increases for FY 2018-19 through FY 2022-23 have yet to take place. At this point, the City Council cannot legally increase annual rates after June 30, 2018. How many times have I written the City Council concerning their planned percentage rate increases beyond 2017-18 and been ignored? Probably four. The Council not only seems to be ignoring me, but the state law as well. Last fiscal year’s indirect cost charge to the WW Find was $668,566. $1,056,950 is a 58 percent increase. The City has a non-discrimination ordinance. Why are there no “Indirect Cost Allocations”charged the Chamber of Commerce? You can write all the facts you like Jean. The city laughs at you and so few residents care more than to write a comment your precise words are useless. It appears no amount of facts and traffic will move voters to action. Apathetic residents will get what they deserve, good and hard. Has the city every take action after you pointed out their misdeeds? Sedona is done. Apathy and greed killed it. Residential sewer rates are unfair. Although the City Manager did not recommend it, Consultant Grant Hoag got the Council to waive the 10% annual rate increase for FY 2014 because there was much more money in the Wastewater Fund than projected. Those who are interested may want to file a complaint against the City of Sedona with the Goldwater Institute. 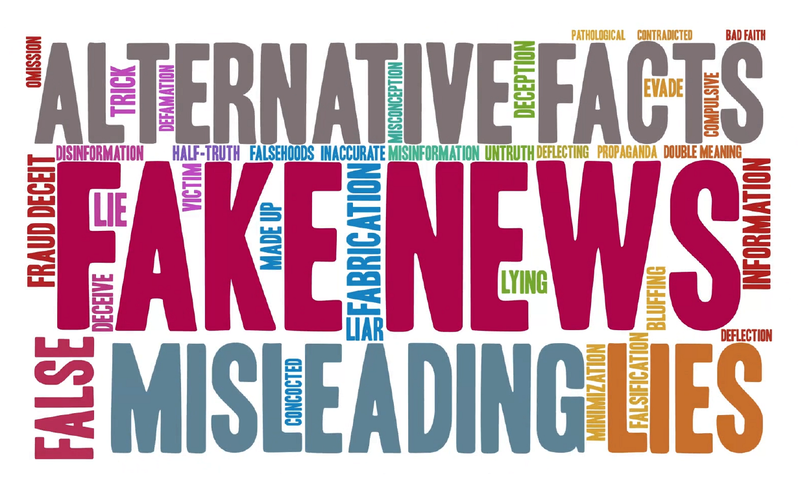 https://www.goldwaterinstitute.org Click on: “Need help? Submit a case>” and fill out their form, or email caseinquiry@goldwaterinstitute.org. Vote NO on Home Rule. Vote all incumbents off the City Council. VOTE NO ON MORE TAXES. VOTE NO ON MORE TRAFFIC CONGESTION. VOTE NO ON BAD SCHOOLS. JUST SAY NO TO CAREER POLITICIANS AND LOBBYISTS. JUST SAY NO ON HOME RULE. If you want to change things, voted the existing city council out, do not vote in any incumbent or any past council member. Absolutely, also vote NO on Home Rule !! I see where the FY 2018-19 PROPOSED BUDGET lists the WW FY18 TARGET and the WW FY19 TARGET rates both as $61.11 with regard to Single Family Residential Monthly Sewer Bills. I am hoping this means the annual 4% increases to our WW rates will indeed end on June 30, 2018. I will do every thing you say cause you a highly intelligent .. When the taxfeeders that preach doom if the voters don’t pass home rule talk about raising sewer rates, they don’t mention the scam already in progress. By charging all the costs Jean J noted above to the sewer, they can obviously say sewer costs went up, we need to charge you more. They don’t mention costs went up because we did a bit of accounting slight of hand. Just as an example, in what world would an existing sewer plant need $155,890 of city attorney services? It’s a scam. Tell your neighbors. Tony, in the growen up business world that you obviously were never part of corporate overhead is charged each division ,in this case the mayor and city manager and city attorney offices are proportionally charge to each division .if you don’t believe me look up in accounting 101.Tony if jjeans says something we know it’s probably not true. By the way Tony if you would have come to the budget sessions like the other people running for office you would’ve heard the city manager explained the rationale on the entire budget process but you’re too busy looking at the cost of city cell phones are still waiting for your budget with $20,000,000 taken out of it,Waste water will be the first thing to skyrocket if home rule is voted down . I have a Bachelor of Science in Business Administration, Post Graduate study in Public Administration. I can spot a scam with my eyes closed, that’s why I ignored the city budget and went straight to accounts payable. Ask city staff what P-Card is on accounts payable. I wonder why they would name an account P-Card? It seems kinda vague. I already have the detail statements on that too. There is so much waste in the City of Sedona I would have to write a book. When I was sent in to fix a problem business, there was usually someone with their hand it the till. No matter if it was gift certificates, payment to a relative with no services rendered or plain envelopes, I always found them. I had no problem seeing they went to jail. If I am elected with a majority of new city council hotel waste water rates will, to use your term “skyrocket”, resident rates will go down. Is it possible you are the same Steve Segner who recently contributed a rather lengthy perspective in a local newspaper? If so, how can you justify the obvious differences in writing skills? The similarity is the printed piece rambled on about as much nonsense as that to which the Segner person offers here. Some nonsense attempting to blame vacation rentals for the excessive amounts of ongoing traffic. No more logic to that than the tripe about increasing sewer fees if Home Rule is snatched from our reckless managers. Suggesting existing homes rented to tourists will create more traffic than the owners of those homes when they occupy them instead of their guests? Hogwash. Suggest the next time you post a comment on SE to retain the services of the person who wrote the pulp fiction for you. Much more professional and legible. Your taxes in AZ are keep artifically low from other states like NY that contribute more to the federal budget then they TAKE. :: Not so with AZ…. they USE up and TAKE other states surplus cause they operate in the red and NEED federal money ..
By our good graces we believed everyone to be good. They have proved they are not. If we could revive the old west tradition of running them out on a rail tarred and feathered, they continue to prove that is what they deserve. One other thing you can do along with voting No on home rule, cancel your subscription to the Red Rock News. The Publisher of the Red Rock News is on the chamber board of directors and they are the voice of Segner and the Sedona chamber. Those two things are the least you can do. Or you can complain while they run the residents out of town. If that’s what you truly believe, why did you move here and why do you stay? California will no doubt give you a warm welcome home party. In case you hadn’t heard, that’s a tax and spend state and a sanctuary for displaced people such as yourself. I want Sedona to be like Heaven, beautiful , peaceful, somewhere everyone wants to be. A paradise for residents and tourists alike. Voters and residents, please join me. I need your help. I need more than just your vote. You need you to get out and talk to your neighbors. I can’t do this by myself. WE can take our town back. Traffic is our Destiny; Tony you just talk…. The city manage is just stating the facts. 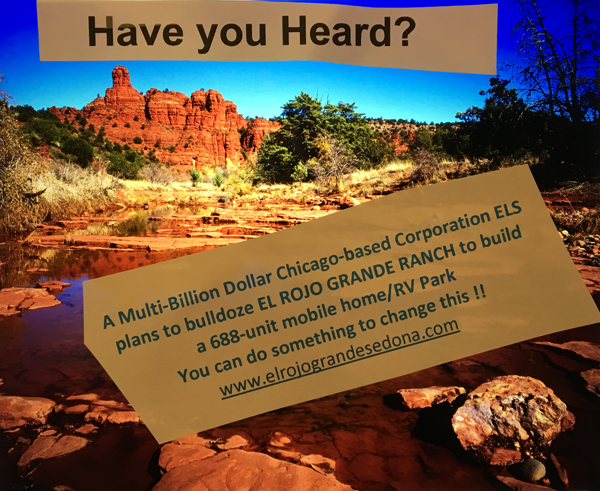 All the state government studies say Sedona and the Verdi Valley will grow, a lot! Sedona sits on two state hwy’s four state parks and camp grounds in Oak creek and the Grand Canyon just 100 miles north. Tony for the 10th time show us your plan,show me I am wrong, $20,000,000 out of the budget just show us your budget…you Say you can do it , like I said talk is cheep . This is Tony’s version of Trumps BUILD A WALL total bs…. And we all know it. Sedona is not the Walmart of America and neither is it cheap and without service oriented patrons. Your comment disgusts me. Tourism is not worth our present quality of life nor will it pay our future. Biotech companies that need to be close to Phoenix and Silicon Valley and have the added security of mountains are natural fits. Your businesses that rely on tourism are dirty, cheep and offer no service. But you and the smutzes at city hall lack business acumen to build a future. You want to attract good young people with children who have money to build a sustainable Sedona? The tax base you degrade and the state and city you degrade are the calling cards you need. Tony you have my vote . You put it perfectly Sedona has been cheapened by these cowpoke that look down on the flatlanders trying to hide their ignorance. Fleecing the taxpayers pumping city council eagos so that they can fullfill the city’s agenda. SS is nothing but a lobbyist with no regard for anybody but himself. Low Life. They going to not do this ? Chris, the Financial Services Director claims the wastewater system must be self-supporting. Last May 22nd the City Council passed an ordinance to rescind the unestablished, unapproved and unadopted 4% annual increase for FY 2018-19, yet bring it back for the following fiscal year. City Hall keeps speciously claiming the 4% increase was for six years when it was but four years. 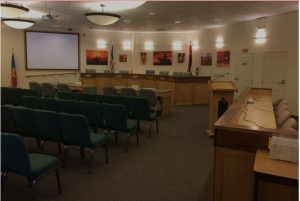 According to the January 15, 2014 Sedona City Council ACTION MINUTES, “Council agreed by majority consensus to approve the financial plan recommendations for a 4% per year increase in the rate-based revenues for FY 2014-15 through FY 2017-18, and a reduction to 30% in the sales tax subsidies to the Wastewater Fund in FY 2014-15, followed by 25% in FY 2017-18.” The City of Sedona Notice of Intention to Raise Wastewater Rates covers exactly the same four years of 4% rate increases. Would the 4% Wastewater rate increase from July 1, 2018 – June 30, 2019, be rescinded if Home Rule was not on the August 28, 2018 ballot?